What a weekend I have enjoyed been part of the Blog Party on Vicky's site 2 bags full, I am making my way through peoples blogs which is interesting. 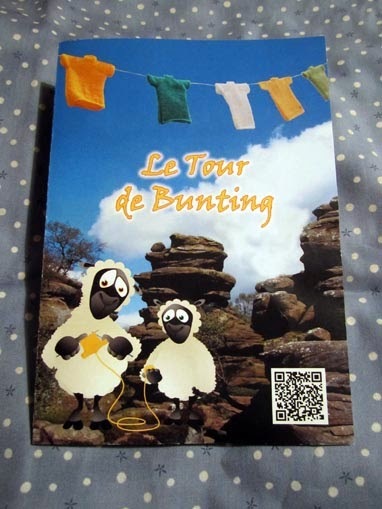 Last year I had heard that they wanted volunteers to knit bunting to display when the Tour de France comes through Harrogate, when I was at the Knitting and Stitching show in November the Council had a stand promoting the bunting, a wool company has sponsored the event and they where giving patterns out and wool. I took some wool and said I would Knit 12 hoping I could persuade some of the girls at work to help me. Well I suddenly released time was passing and I had not started them, the bunting is in the shape of a Jersey and in the colours of the winning Jerseys, Since we were going out on Saturday and I hate sitting idle in the car I took a ball of wool and needles with me. 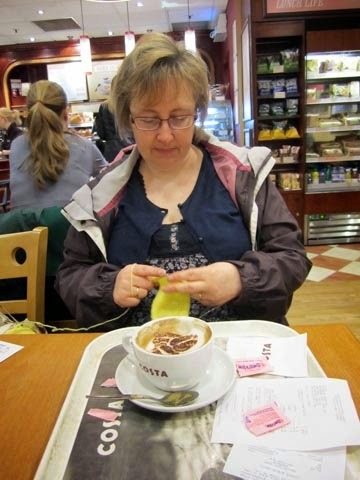 Throughout the day at every opportunity I had my knitting out, here I am in Costa Coffee in Waterstones. By the end of my dayout in Leeds I had managed to knit one Jersey. As I am on holiday this week I intend to see how many Jersey's I can knit while out and about they take about 2hrs. 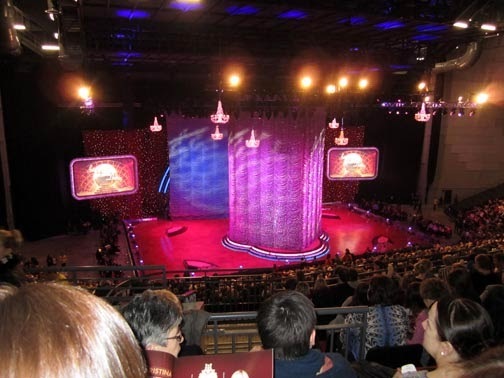 The Main reason we had gone to Leeds was to see Strictly come Dancing on Tour the stars taking place are here we had not visited the new arena in Leeds yet not that impressed would rather go to Sheffield's arena. 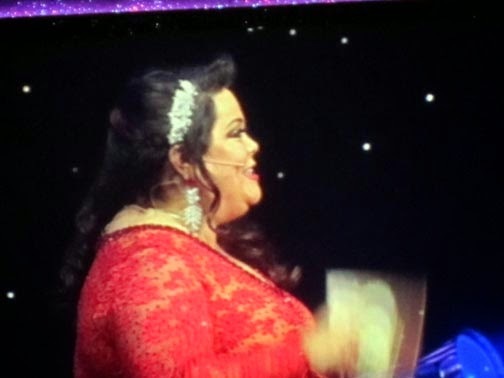 Lisa Riley was the compare and she did an excellent job. The Judges are just so funny live. An interesting visit out; good luck with the other jerseys. I'm hoping to come up to the Harrogate knit/stitch show this November, as a treat! Cute jerseys! Maybe you'll pick up a few knitting converts by knitting in public. I never saw this stand when I was at the show, they will look great on the day! A shame to hear your not keen on the Leeds Arena, I love it! I went to see Andrea Bocelli there towards the end of last year and even though we were at the very back we had a fantastic view and the sound was amazing! Me gusto mucho conocer su blog. Is that like Dancing with the Stars here in the USA? 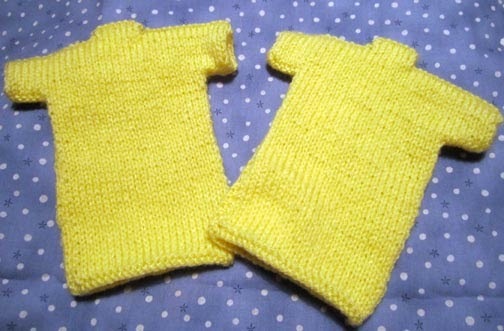 What cute little knitted jerseys! I do hope you are able to knit all of them in time.